One man, named Jim, was there that day and he, like the others, received a seed. He went home and told his wife the story. She helped him get a pot, soil and compost and he planted the seed. Everyday, he would water it and watch to see if it had grown. After about three weeks, some of the other executives began to talk about their seeds and the plants that were beginning to grow. Jim kept checking his seed, but nothing ever grew. Three weeks, four weeks, five weeks went by, still nothing. By now, others were talking about their plants, but Jim didn’t have a plant and he felt like a failure. Six months went by- still nothing in Jim’s pot. He just knew he must have killed his seed but he didn’t say anything to his colleagues. He just kept watering and fertilizing the soil. The year finally went by and all the young executives of the company brought their plants to the CEO for inspection. Jim told his wife that he wasn’t going to take an empty pot. But she encouraged him to be honest about what happened. Jim felt sick in his stomach, it was going to be the most embarrassing moment of his life, but he knew his wife was right. He took his empty pot to the board room. When he arrived, he was amazed at the variety of plants grown by the other executives. Jim held his empty pot and many of his colleagues laughed at him. I won’t be surprised if 90% of people who read this will agree that the businessman has made the right decision choosing Jim as the new CEO because of his honesty. But I have a different opinion on this one. A CEO or any other key positions in a company, holds the responsibility to grow the company’s business and be responsible for what he/she’s done. His/her decisions will affect the living of many people working for that company. If a boss hires two new managers and gives them the same task: to sell a product. Both managers are given a set of marketing tool to sell the product. Manager A tries to use the marketing tool and realizes that the tool is not effective to sell, so he creates a new marketing tool, his version, and use it effectively to gain good sales performance. Manager B tries to use the marketing tool and also realizes that the tool is not working. But since it is the tool given by CEO, he keeps using the tool with full honesty and faith. By the end of “test” period, of course manager B’s sales number is bad. Ask any real CEO, they will tell you that manager A is better than manager B. People with key positions in a company are supposed to think what’s best for the company, not just “honestly” following every detailed direction from their boss. Manager A is a creative person who takes initiative for the sake of company’s performance and his own achievement. Manager B is a “yes-sir” type of person who only follows exact order. 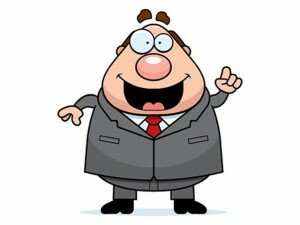 After showing proof that his own marketing tool can do better, manager A can always come to the CEO and communicate. If the CEO is an open-minded person, he/she will at least take some good points from manager A’s ideas and integrate it as company’s new standard. That’s what I would call honesty. Manager A doesn’t lie saying that he achieves that sales figure because of company’s standard marketing tool. But he also wants what’s best for the company by sharing his own ideas. Of course, the approach of delivering these ideas to the CEO should be conducted in a smart way, not naively saying “boss, your original marketing tool was not working, so I created my own, which works fine”. Because there is always a possibility that the tool actually works, but both manager A and manager B have not received enough training (being new managers) to execute them well. That’s why the key here is good intention and effective communication. Now back to the seed planting example. I could do the same example with different outcome. After a year, EVERYBODY goes to the office with EMPTY pots. Only one executive brings a fully grown plant. If I were the CEO, I would choose this one guy with fully grown plant because he’s the only one who has initiative. Of course, I would expect him to admit that this plant is not from the seed given (but he took initiative to plant a new one) when I ask him. Because receiving a dead seed (or in my example: receiving a bad marketing tool) and keep using it until end of trial period is just plain lazy and stupid. Most probably the first person writing the story above has never been in actual managerial or directing position before. Being honest is good, but being passive (not having initiative) is not. The “correct” scenario would be trying the dead seed for a while, when it doesn’t work we can always try and plant a new seed. In my view, that’s not cheating, that’s having initiative at work. Then if we want to be honest, we can even bring two pots to the office at decision day, we can honestly label the empty pot as the seed from boss and the other one as replacement seed. That would be honest, and still having initiative. Simply bringing empty pot without trying to do something that works is a typical “yes sir” person. Perhaps considered “the common type” in many Asian workplaces and even considered to be the expected attitude. Doing anything instructed by the boss, and be very honest about it, even at the cost of bringing bad performance for the company. “As long as I follow my CEO’s instruction exactly as is, and be completely honest about my failed result, then I’m a good executive” that would be the morale of the story. * If you plant faith in God, you will reap a harvest. God Bless! just happened to read your comment of this story.